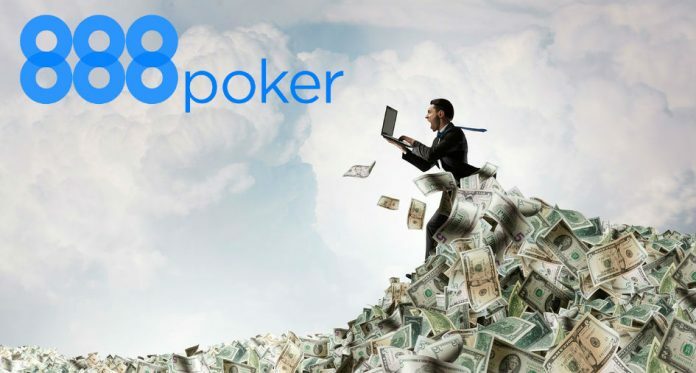 A number of players racked up the cashes in April on 888poker, just in time for XL Inferno. Tomi ‘emeriaa’ Brouk has had himself a storied online poker career so far. Currently, the #4-ranked player in Finland, Brouk had himself a great January, falling just short of the six-figure mark in earnings on 888poker to be the biggest winning PocketFiver on the site. Brouk had two cashes on 888poker in January, but all but $239 of his $99,437 winnings came thanks to his third-place finish in the XL Blizzard Main Event. He was the top finishing PocketFiver in the event and one of just two to make the final table. A little more than $5,000 behind Brouk was former #1-ranked ‘lena900‘. The Russian superstar, playing under the name ‘tutten7’, picked up seven cashes including a third-place finish in the XL Blizzard $200,000 Tune Up and a runner-up finish in the XL Blizzard $200,000 Whale on January 21 for $51,857.60. Germany’s ‘dr.hAni‘ had the third best month on 888poker, with $75,524.23, thanks mostly to his fourth place finish in the XL Blizzard Main Event. That same day he also finished 32nd in the $200,000 Mini Main. A 12th place finish in the XL Blizzard $200,000 Whale highlighted the month for France’s ‘YohViral‘. That $24,300 score is the third largest of the former Powerfest Main Event champion’s career. Another former #1-ranked player, Sebastian ‘p0cket00’ Sikorski, had the fifth best month of any PocketFiver on 888poker. Sikorski took down the XL Blizzard High Roller for $35,000.